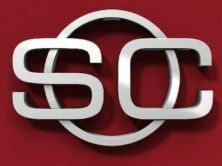 Tags: Barack Obama, Bill Clinton, Donald Trump, Media Polls, Richard Nixon, U.S. 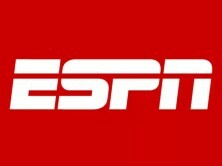 The poll also finds more than half (57%) of Americans believe either there is enough evidence now for Congress to remove Trump from office, or that ongoing investigations will eventually provide enough evidence – including 29% of Republicans, 52% of independents, and 85% of Democrats who feel that way. Despite expecting evidence to support impeachment, most Americans apparently believe it will not happen. 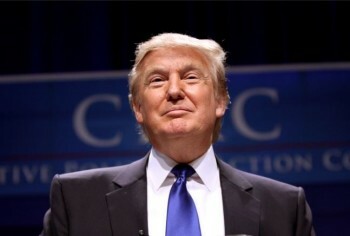 Overall, a clear majority (57%) believe it is likely Trump will finish his first term in office, although only 27% are confident he will – including 54% of Republicans, just 21% of independents and 7% of Democrats. About a third of the public (36%) believes Trump will not last through his first term. These results suggest that Trump is probably the most beleaguered first-term president in the country’s history, and certainly in modern history – highly unpopular among the public, with a significant portion clamoring for his impeachment barely six months after his inauguration. A comparison of Trump’s situation with other recent presidents who have been targeted for impeachment reaffirms the current president’s precarious position. 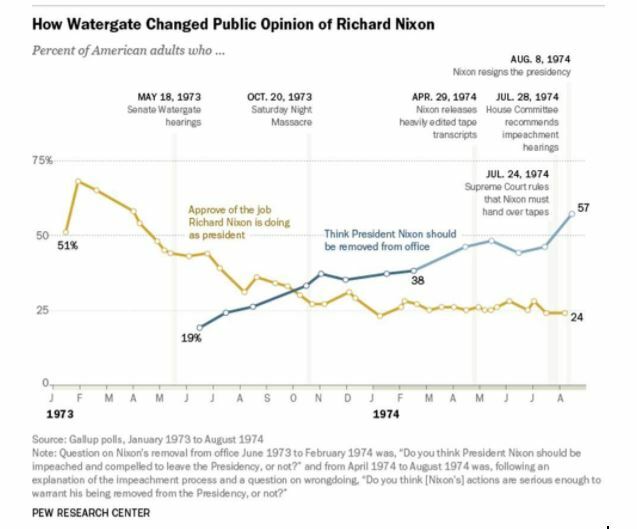 Note that Nixon’s approval rating surged after his overwhelming re-election in 1972, but then drifted lower over the next several months, in large part caused by a faltering economy and also ultimately by the Watergate hearings. 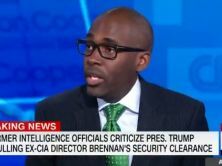 There was also some talk of impeaching George W. Bush and Barack Obama during their respective second terms, prompting CNN to conduct polls assessing the public’s response. At the end of August, 2006, 30% of those polled said Bush should be impeached and removed from office, while 69% disagreed. And in mid-July, 2014, a similar poll found 33% in favor of impeaching Obama and removing him from office, with 65% opposed. These comparisons suggest that Trump’s impeachment numbers are worse than Nixon’s numbers at the start of the Watergate hearings, and, of course, also considerably worse than those of Clinton, Bush and Obama. Two other recent polls find about the same number of Americans in favor of impeaching Trump and removing him from office as does the USA Today/iMediaEthics poll, though the other two polls also find somewhat higher opposition. 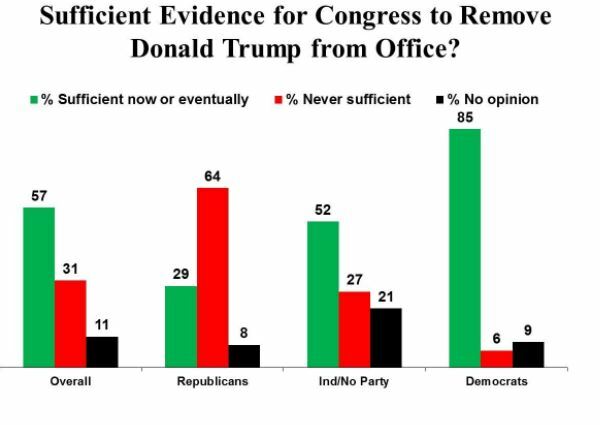 A MorningConsult/POLITICO poll conducted online (as was the USA Today/iMediaEthics poll) July 13-15, reports 40% of its respondents believe Congress should begin impeachment proceedings to remove Trump from office, while 46% disagree. 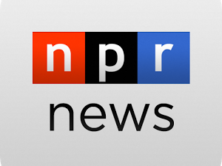 A Monmouth University poll, conducted by phone July 13-16, finds 41% of the people polled believe Trump should be impeached and compelled to leave the presidency, while 53% disagree. The somewhat higher rates of opposition by these two polls compared with the USA Today/iMediaEthics poll may be a function of question wording. Both of the previous polls used a forced-choice format, providing no explicit “unsure” option in the question. 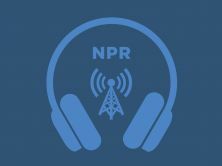 The USA Today/iMediaEthics question, by contrast, asked whether people think the Congress should or should not impeach Trump and remove him from office, “or are you not sure?” It could be that when pressed for an opinion about which they may not have given much thought, respondents are more likely to say “no” to impeachment than say yes. When supporters of impeachment were asked how they would feel if Congress did not impeach Trump, about 20% admitted they wouldn’t be “upset.” A similar proportion of opponents admitted they wouldn’t be upset if Trump were impeached. The net results is that about a third of the country would be upset if Trump is impeached, a third upset if he is not, and another third largely unengaged. It is these intense feelings that are analyzed in subsequent charts. It’s not surprising to discover that Republicans are overwhelmingly against impeachment, Democrats largely in favor, and independents mostly divided. Such large differences by party affiliation are also found in the other attitudes measured by this poll. While most Americans believe sufficient evidence either exists now or will be discovered once the ongoing investigations are finished, a majority of Republicans (64%) believe there never will be sufficient evidence for impeachment, while just 29% think there will be. 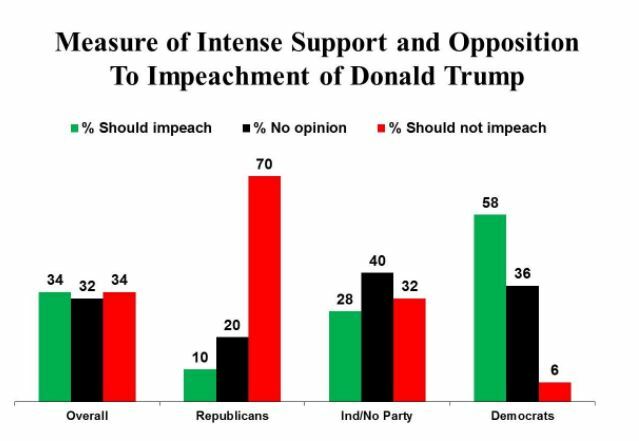 By contrast, independents think there will be sufficient evidence for impeachment by a 52% to 27% margin, and Democrats by 85% to 6%. Although most Americans believe that sufficient evidence will eventually be found to justify impeachment, a clear majority also believe it’s likely that Trump will serve out the full four years of his term. 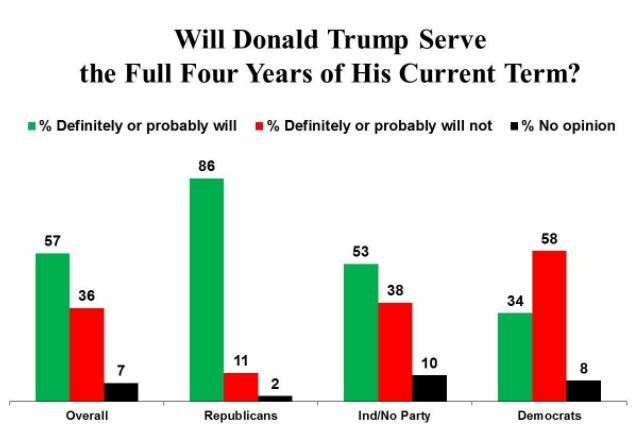 Republicans, of course, are the most optimistic that he will finish his term, independents less so, and a majority of Democrats expecting he will not. Besides political party, the biggest differences among groups of people are found by racial affiliation. There are some differences by religion, but the most salient is whether people are evangelical or not. Other differences are found by whether people live in urban or rural areas, region of the country, and age. *There are too few cases to compare females and males each for Blacks, Hispanics and Asians. As the table makes clear, Trump’s strongest supporters, apart from Republicans, are white males (net opposition to impeachment = -25 percentage points), Evangelicals (-20), and people who live in rural areas (-17), are over 50 (-14), and live in the South (-9). Trump’s greatest opponents are Blacks (net support for impeachment = +50 percentage points), Hispanics (+29), Asians (+24), non-Evangelicals (+19), and people who live in the West (+15), in urban areas (+12), and are under 50 (+11). This “impeachment” discussion has turned into Peter and the Wolf. There are too many people signing onto this process who have no idea what impeachment is or how it works. The anti-Trump crowd along with some Dems are deceiving those who think this is the answer to Trump. That this process will remove him. They are lying to them. There have only been two Presidents who have been impeached. Andrew Johnson and William Clinton. After impeachment Andrew Johnson served his full term and was defeated in his reelection bid by U.S. Grant, and William Clinton was impeached by the full House and Senate yet he served out his full term. Impeachment doesn’t mean a President is removed. On what grounds? Need to consider who and where poll was conducted. Who is the the audience for this publication ? On what grounds? Who conducted poll? Who is audience for this publication? ?